We are currently using a fire resistant water based glycol in one of our BOP HPU, and we which to change to an Eco-friendly / Biodegrable lube which offers better lubricity thank the former. Please advice on precautions to take in choosing the ideal Biodegradable lube, and safely switching to the new biodegradable lube, in the BOP HPU. Thanks. Changing lubricant based is not easy. and i hope you get success on it. - Sellect the biodegradable lubricant which having less effect to build varnish / sludge. 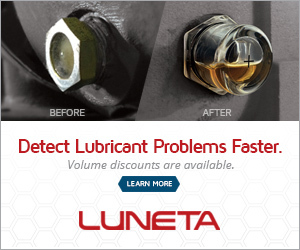 - Flush your system completely to avoid lubricant incompatiblity , and ensure the flushing oil is drained out properly. I would look a another PAG bio fluid. Two that come to mind are Ucon Trident (water soluble) and EcoSafe FR. Both are used in steel making process.